The ongoing rescue of the Thai boys trapped in a cave is the latest in a long line of similar stories. 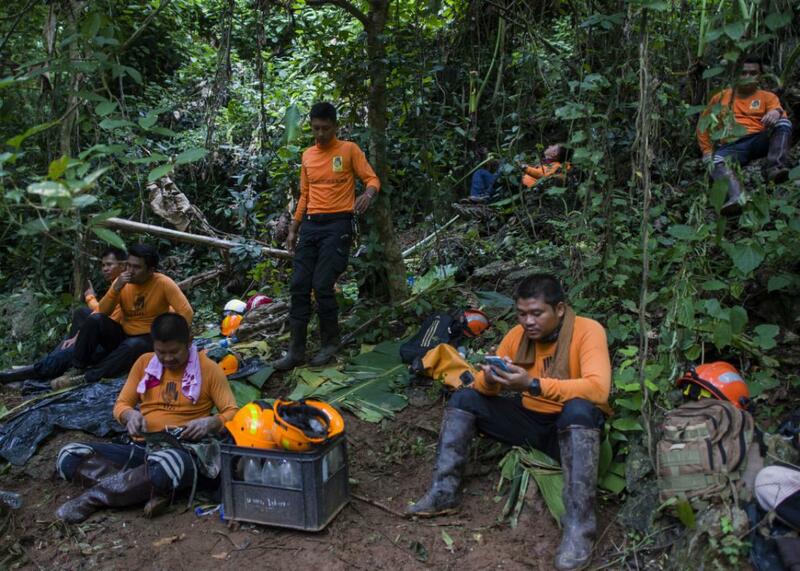 Thai volunteers take a rest as a rescue operation continues for the 12 boys and their football team coach, in Thailand on Saturday. On The Gist, comparing Trump’s antics to a reality show is no longer a scarlet letter. Yes, there are storytelling competitions, and Matthew Dicks wins a lot of them. His secret? Keep it visual, and forget about the tangents. Dicks’ new book is Storyworthy: Engage, Teach, Persuade, and Change Your Life through the Power of Storytelling. In the Spiel, “people trapped in holes” is a tale as old as time.